Meat me in Salalah, the camel said to me in a pre-dawn dream. It was no pun but a presentiment. Ever since I first set foot in Arabia in 2011, I’ve been curious to know what camel tasted like. On my first trip to Oman in 2011 I prospected but never got to try any. No luck while visiting Sharjah and Dubai in early 2014, especially around the Friday markets. 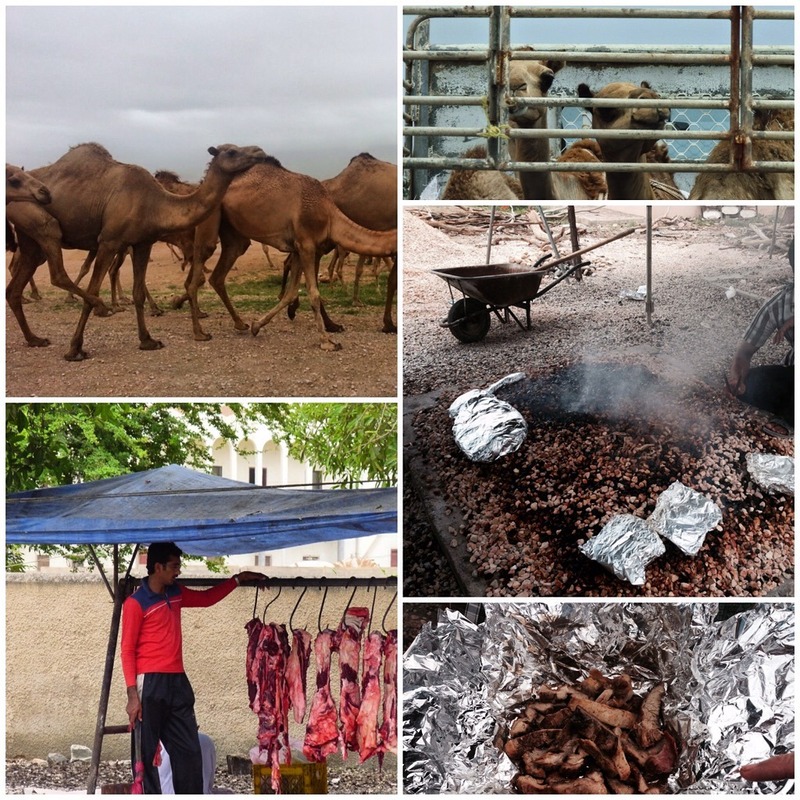 I was determined to secure my tryst with epicurean destiny on my trip to Salalah in southern Oman in August 2014. There were camels, camels everywhere but not one in which my fangs to sink. I asked around at the food stalls at the Desert Festival fairground. There was chicken and mutton and beef aplenty but no camel. While driving past a herd of about two hundred heads near Sumhuram, I gingerly popped the question to our guide. I thought I had uttered something sacrilegious, but I realised it was just the way he spoke. Relieved, I looked back at my fellow travellers in the backseat. They didn’t look reluctant, but not particularly enthusiastic either. I gathered I’d have to make the moves myself. “As soon as the opportunity presents itself,” I volunteered. Rashid kept his promise. After we reached Al Mughsayl Beach that afternoon, he led us to a shack beside the highway. An aroma of charred meat lingered. We ordered a single portion of camel meat for roughly OMR 2.00. The young chef at the stand collected our order, selected a few cuts of boneless, marinated meat and wrapped them in aluminium foil. He then placed the packet in a hearth of gravel, which had been heated with embers. We waited as our meat cooked. About 15 minutes later, the stall attendant unearthed our package and unwrapped it before our eyes. Steaming, succulent, aromatic strips tempted. The cooked meat was soft and tender, slightly fatty (not unlike pork, I remarked in my head) and a little chewy. Delectable, particularly that smoky aroma. Way better than smoking Camels.